This month marks the 175th anniversary of the arrival of the Canadian Exiles in Australia. In 1837 and 1838 there were revolts in Lower Canada (now Quebec) by French Canadian Patriotes who held a number of grievances against British government rule. The uprising was severely crushed with some rebels being executed while others were sentenced to transportation. In 1840 the ship Buffalo transported 91 English speaking rebels to Port Arthur in Tasmania and another 58 French speaking Canadians to New South Wales, who arrived at Port Jackson on 25 February 1840. Originally the French Canadians were destined for Norfolk Island but the intervention of the Roman Catholic Bishop, Dr John Bede Polding resulted in the more humane option of the convicts working in Sydney, although conditions were still harsh. On 11 March 1840 the French Canadians were transferred to Longbottom Stockade, a convict depot near the present site of Concord Oval. Their presence along the Parramatta River is recalled by the names Exile Bay, France Bay and, our city’s namesake, Canada Bay. 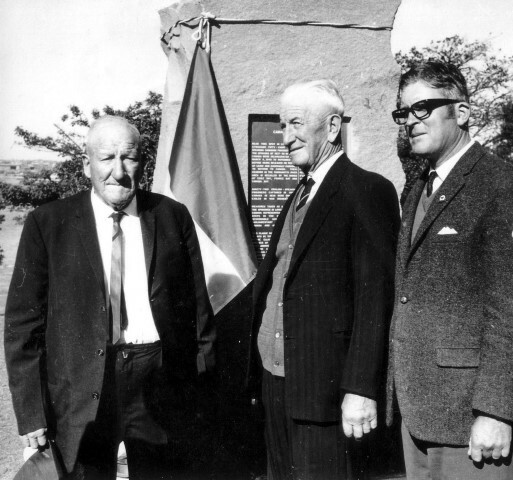 A memorial to the Canadian Exiles was unveiled by Pierre Trudeau, Prime Minister of Canada, in Cabarita Park in 1970. The photograph shows some of the descendants of Joseph Marceau who was the only one of the exiles to remain in Australia when pardons were granted to the convicts in 1843-1844. The memorial is now located in Bayview Park, Concord, close to where the French Canadians stepped ashore in 1840. Local Studies holds a range of reference material relating to the Canadian Exiles. Arnott’s this year celebrates 150 years since William Arnott first began baking in Newcastle in 1865. Locally, Arnott’s opened a factory at Homebush in 1908, in close proximity to the railway line to facilitate deliveries and distribution. 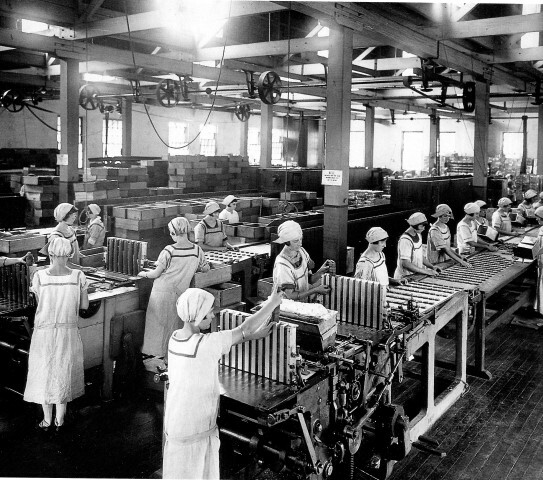 Considerable demand for Arnott’s biscuits meant that the factory soon had to be enlarged. Arnott’s was an important local employer for almost ninety years before relocation of the factory to Huntingwood in 1997. The factory site fronting George Street, North Strathfield has since been redeveloped as the Bakehouse Quarter. Arnott’s retains its links with the area with corporate offices at North Strathfield and, of course, with their iconic sign across Parramatta Road. The history and achievements of the Concord Repatriation General Hospital are celebrated in a new display at the City of Canada Bay Museum. Concord Repatriation General Hospital was completed in 1942 to meet the needs of sick and injured servicemen and women who served our country in the Second World War. Originally it was known as 113 Australian General Hospital. The building was designed by architects Stephenson and Turner and has touches of art deco. At the time it was awarded the Sulman Memorial Prize for Architecture and, more than seventy years later, the building has stood the test of time. After the end of the war the hospital continued to provide services to returned service persons and has expanded its role to meet the needs of the community of Sydney and, indeed, New South Wales. The display on the Concord Repatriation General Hospital can be seen at the City of Canada Bay Museum until the end of June 2015. There will be a talk by Alice Kang at the museum on Saturday, 7 March 2015 at 1.30pm. Alice has been closely involved with the hospital for some 40 years. 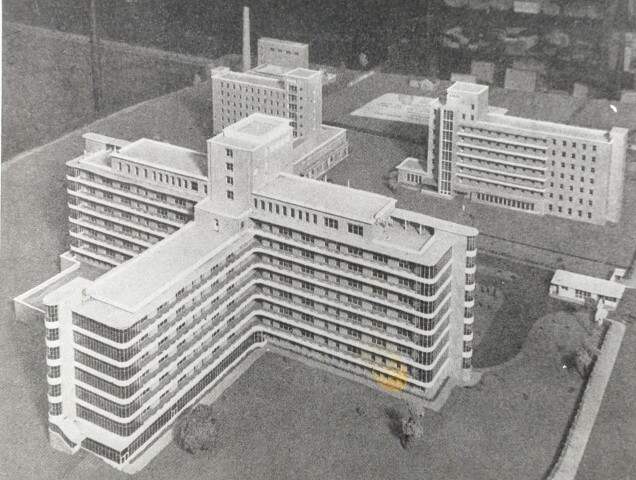 The image, above, shows the original architect’s model for the hospital. In March 1943 the 3rd Women’s Hospital was established in the former Thomas Walker Convalescent Hospital to provide for the needs of servicewomen. 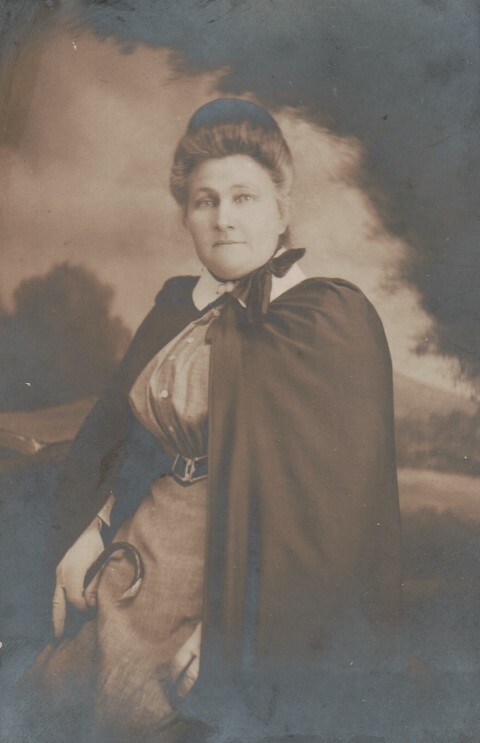 The nearby 113 Australian General Hospital dealt with surgical cases while the Women’s Hospital provided for patients recovering from illnesses contracted while on active service, such as malaria. Later in the same year a Red Cross recreation centre was opened for patients. It provided a space for women to recuperate and included a craft room where they could engage in handicrafts to pass the time. The City of Canada Bay Museum has a small but fascinating collection of some of the handicrafts produced by the servicewomen. One of the most striking items is an embroidered dress and coat made of hessian. The 3rd Women’s Hospital closed in May 1946.